The Emerson String Quartet has maintained its stature as one of the world’s premier chamber music ensembles for more than four decades. The quartet has made more than 30 acclaimed recordings, and has been honored with nine Grammys® (including two for Best Classical Album), three Gramophone Awards, the Avery Fisher Prize and Musical America’s “Ensemble of the Year”. The Emerson frequently collaborates with some of today’s most esteemed composers to premiere new works, keeping the string quartet art form alive and relevant. 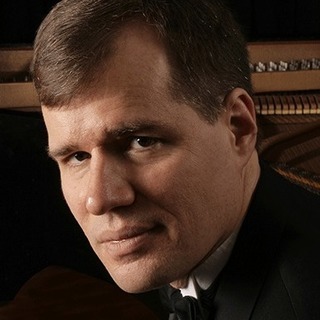 They have partnered in performance with stellar soloists including Reneé Fleming, Barbara Hannigan, Evgeny Kissin, Emanuel Ax and Yefim Bronfman, to name a few. 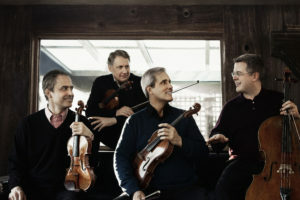 During the 2018-2019 season the Emerson continues to perform as the quartet in residence at the Smithsonian Institution in Washington, D.C. for its 40th season and returns to perform with the Chamber Music Society of Lincoln Center. The group’s North American appearances include a performance at New York’s Alice Tully Hall, and appearances around North America that include the Library of Congress in Washington DC, Denver, Vancouver, Seattle, Houston, Indianapolis, Detroit, the Yale School of Music and University of Georgia, among others. The quartet also embarks on two European tours, performing in major venues in the United Kingdom, Germany, France, Italy and Spain. During the summer of 2019, the Emerson will perform at Tanglewood, Ravinia and the Aspen Music Festivals. Other North American highlights include subsequent performances of Shostakovich and The Black Monk: A Russian Fantasy, the new theatrical production co-created by the acclaimed theater director James Glossman and the Quartet’s violinist, Philip Setzer. The music/theater hybrid, co-commissioned by the Great Lakes Chamber Music Festival, Princeton University and Tanglewood Music Festival, has been presented at the Ravinia Music Festival, Wolf Trap, and in Seoul, South Korea. In spring 2019, the quartet will reprise this work at Stony Brook University and the Orange County Performing Arts Center. In a bold intersection of chamber music and theater starring David Strathairn/Len Cariou and Jay O. Sanders/Sean Astin with the Emerson String Quartet, the audiences witness the trials of Dmitri Shostakovich’s 40-year obsessive quest to create an opera based on Anton Chekhov’s mystical tale: The Black Monk. The Emerson’s extensive recordings range from Bach to Harbison, including the complete string quartets of Beethoven, Mendelssohn, Brahms, Bartok, Webern and Shostakovich, as well as multi-CD sets of the major works of Haydn, Mozart, Schubert and Dvořák. The ensemble has also recorded music by Tchaikovsky, Smetana, Debussy, Ravel, Barber and Ives. In April 2017, the Emerson released its latest album, Chaconnes and Fantasias: Music of Britten and Purcell, the first CD issue on the new label, Decca Gold. The Quartet has commissioned and performed new works from composers such as Thomas Adés, Kaija Saariaho,Wolfgang Rihm, Mark-Anthony Turnage and Edgar Meyer. Formed in 1976 and based in New York City, the Emerson was one of the first quartets whose violinists alternated in the first chair position. The quartet, which took its name from the American poet and philosopher Ralph Waldo Emerson, balances busy performing careers with a commitment to teaching and serves as Quartet-in-Residence at Stony Brook University. 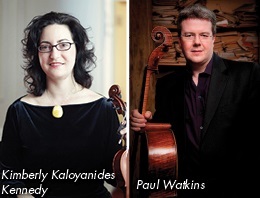 In 2013, cellist Paul Watkins, a distinguished soloist, award-wining conductor and devoted chamber musician, joined the original members of the Emerson Quartet. The reconfigured group has been praised by critics and fans alike around the world. In spring 2016, full-time Stony Brook faculty members Philip Setzer and Lawrence Dutton received the honor of Distinguished Professor, and part-time faculty members Eugene Drucker and Paul Watkins were awarded the title of Honorary Distinguished Professor. The Emerson had previously received honorary doctorates from Middlebury College, the College of Wooster, Bard College and the University of Hartford. In January 2015, the Quartet received the Richard J. Bogomolny National Service Award, Chamber Music America’s highest honor, in recognition of its significant and lasting contribution to the chamber music field.